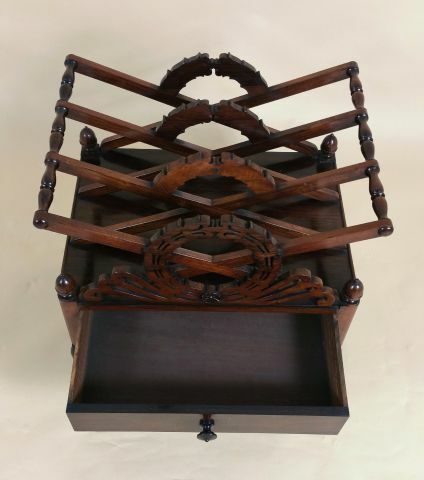 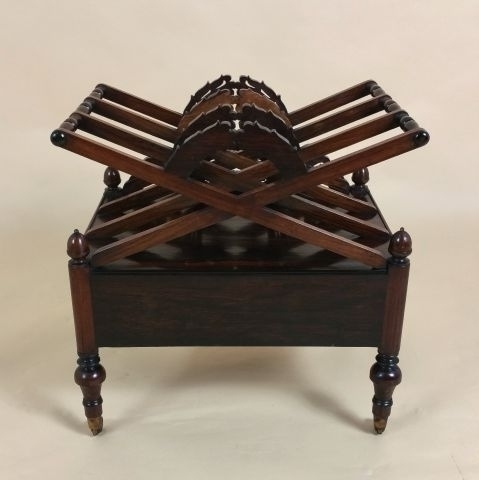 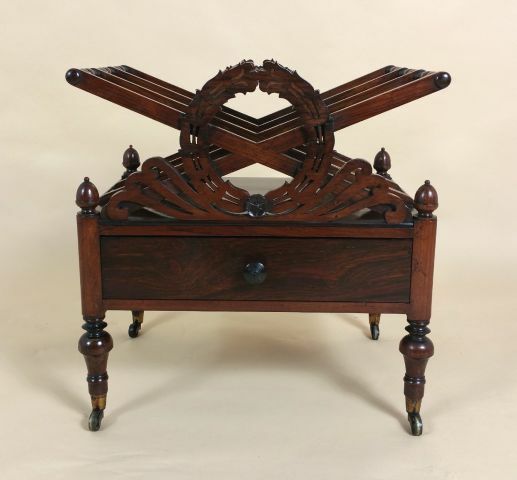 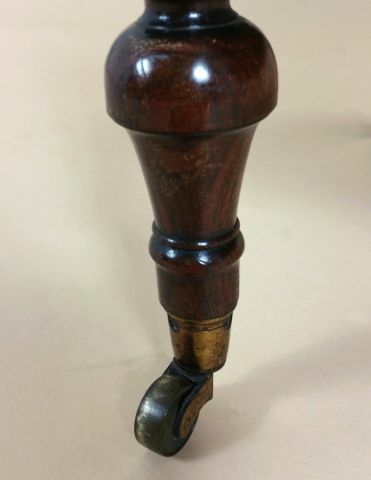 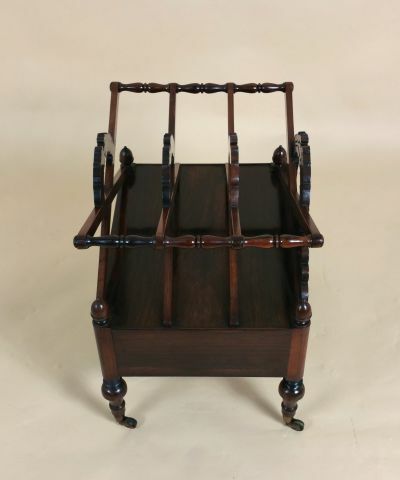 This splendid and very unusual design Regency rosewood Canterbury is attributed to Gillows and features the original brass castors. 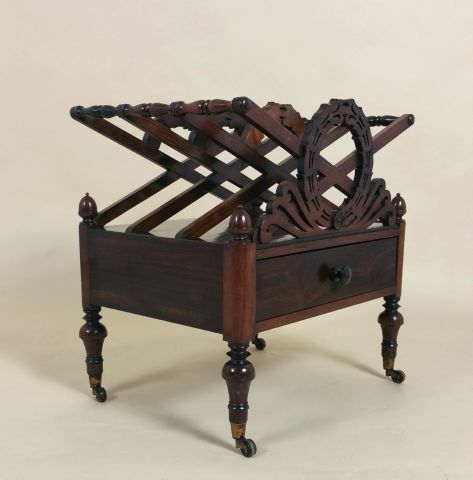 The Canterbury has a very attractive �X� frame series of divisions with a single drawer below. 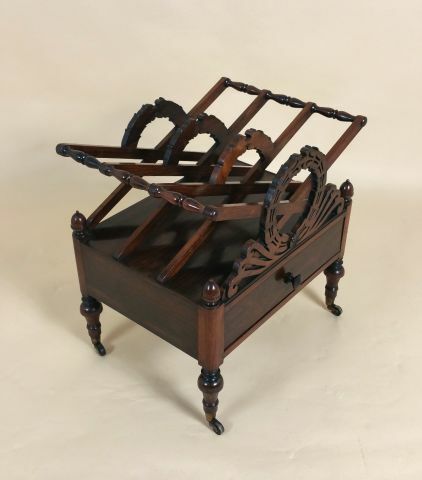 It measures 20 in � 50.8 cm wide, 15 in � 38 cm deep and 21 in � 53.3 cm in height.